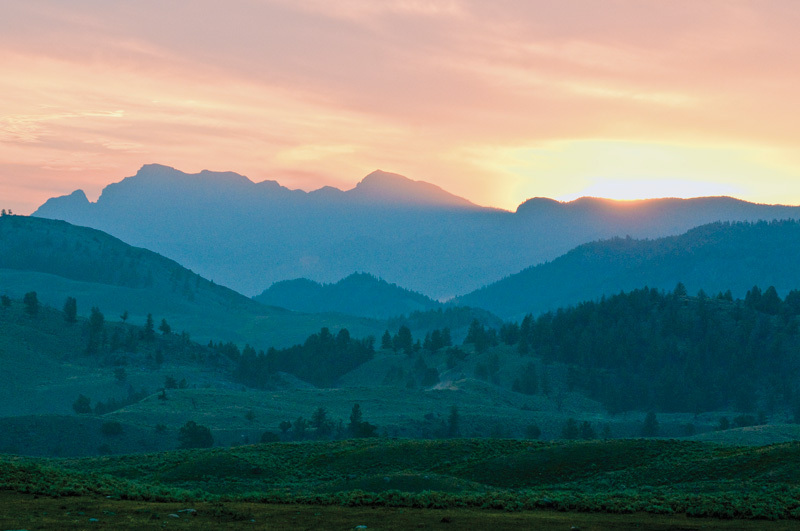 The sun rises softly over Yellowstone's Little America on a summer morning. Following a spring snowstorm, many migratory birds that had already returned to Yellowstone moved downslope to where the several inches of snow were melting quickly. 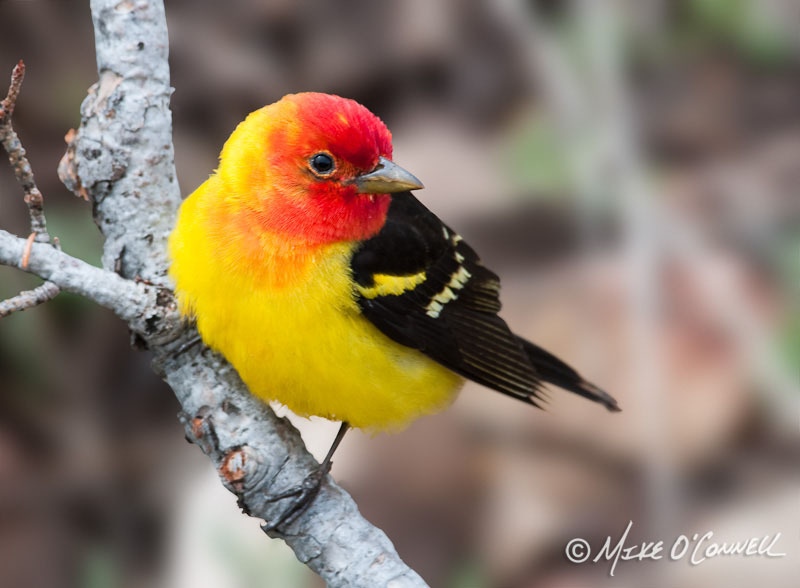 A few western tanagers joined yellow-rumped warblers, juncos, chipping sparrows and others to feed on exposed seeds and insects. 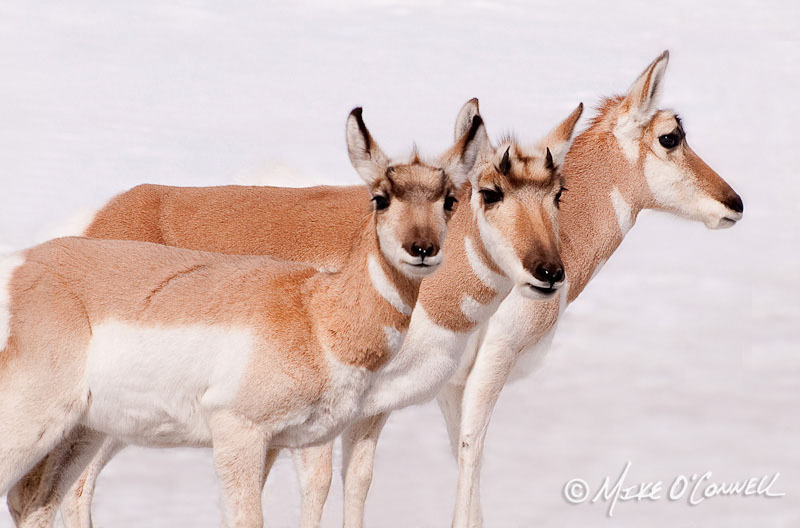 These pronghorn stopped long enough for a portrait on a mid-winter's day north of Gardiner, Montana. A few moments later, they continued feeding in snow-free patches of grasses. 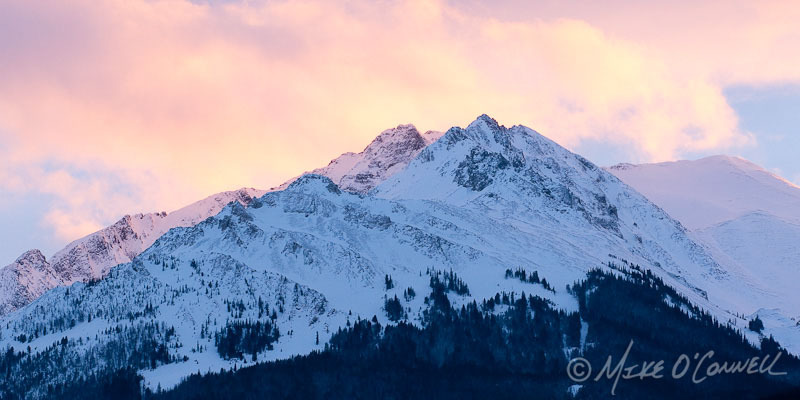 Fading sunlight warms a sliver of Electric peak as the foreground rests in the shadows. 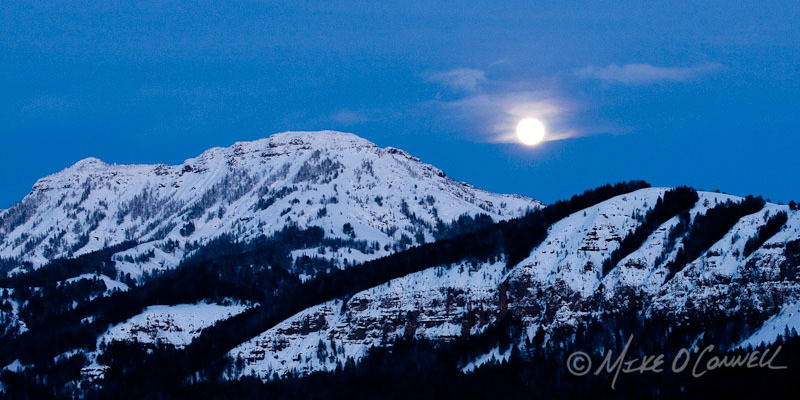 A full moon rises above Yellowstone's Mt. Norris on a still February night. Down the valley, a lone wolf's howls go unanswered. During the epic winter of 2010-2011, many mammals in Yellowstone were pushed to the limits of survival. 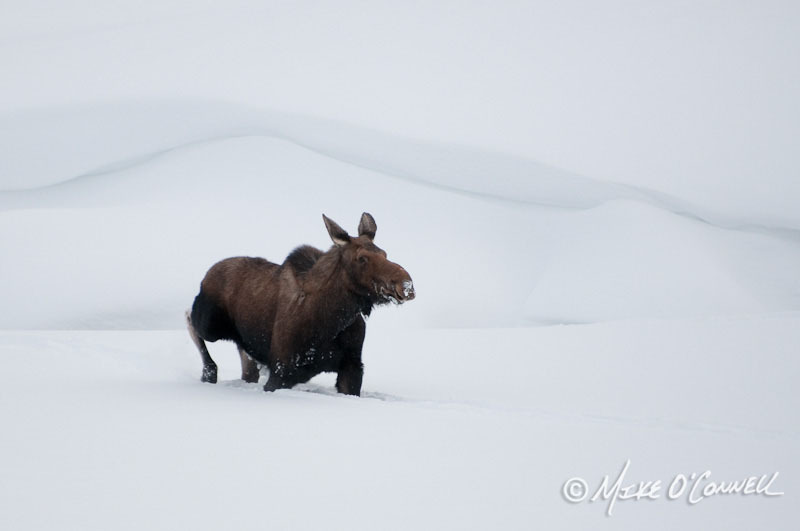 This moose traveled a creek corridor in northeastern Yellowstone to conserve energy but had to plunge into deep snow to reach the forest to browse. 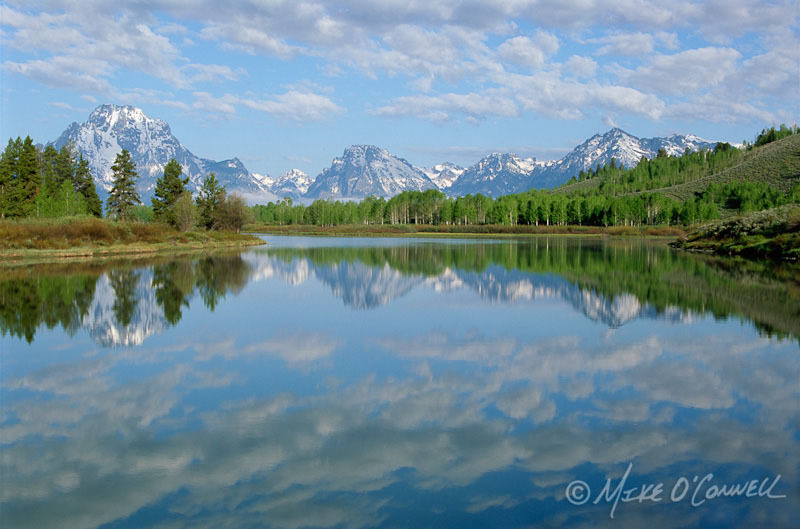 The glassy surface of the Oxbow Bend of the Snake River captures the tranquility of a spring morning in the Tetons. 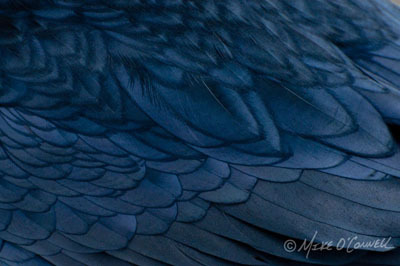 Before first light one winter morning, I sat and listened to dozens of eagles chattering from trees all around me. 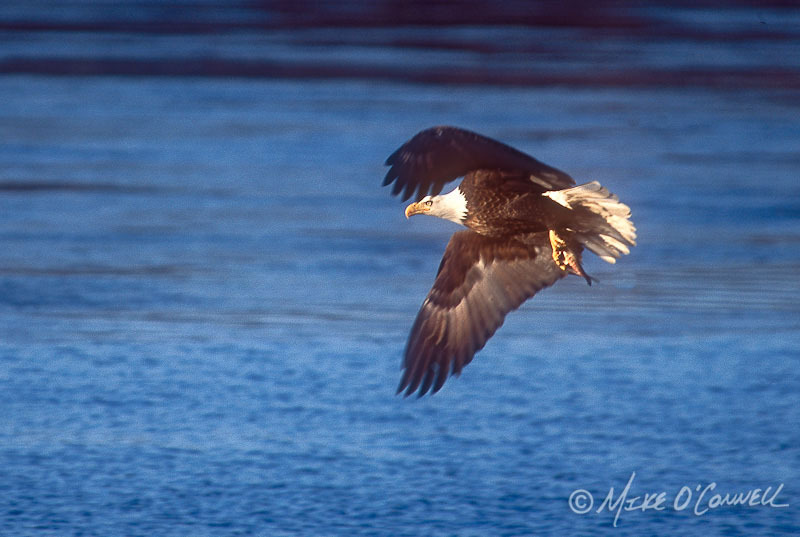 As light came, the eagles took to the skies, scanning the Mississippi River for their first fish of the day. 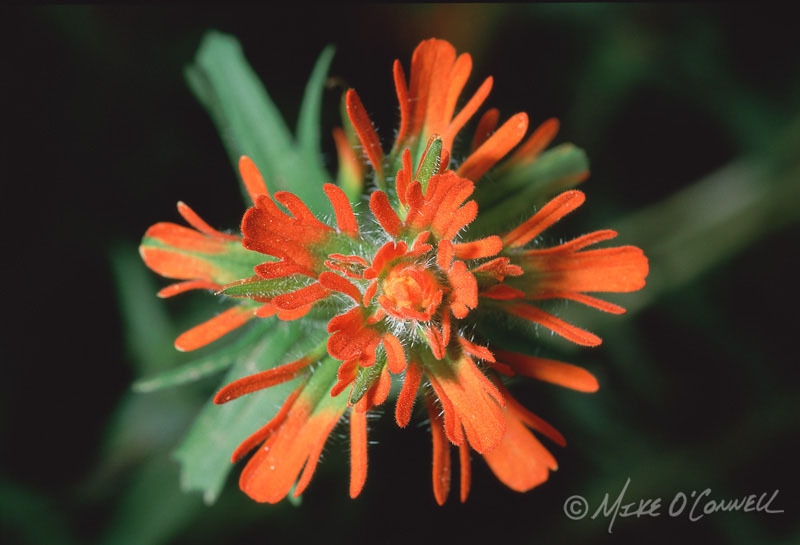 A showy paintbrush rivals a human-made fireworks display. From Yellowstone National Park to lesser known areas, Mike O'Connell has been capturing photographs of nature for more than 17 years. Select a photo gallery from the "Photographs" menu above to view his work. Please contact Mike if you have any questions or would like information on ordering a print. Raven Feathers is on the cover of Leslie Harrison's The Book of Endings. View the University of Akron Press' news release here. My studio is open at The Emerson Center for the Arts and Culture in Bozeman, Montana most weekdays from 10:00 to 4:00. It's upstairs across from the Weaver Room.